Editor’s note: This is the first open press item we recall that discusses China’s use of GPS jamming against US forces. GPS jamming and spoofing are often classified as “electronic warfare” by US officials instead of “cyber warfare.” We don’t understand why that is since jamming and spoofing can neutralize end use devices, cut off IT pathways, and can introduce false data into a variety of systems. Detecting and deterring GPS jamming and spoofing could be quick wins for cyber warriors. It is also interesting to note that, even if US forces were to jam GPS and China’s satellite navigation and timing system, BeiDou, the Chinese have a high power, difficult to disrupt terrestrial system, called Loran, they could still rely upon (Russia and Iran have Loran systems also). 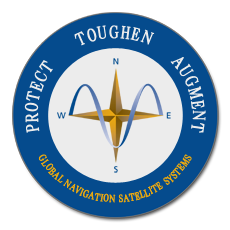 The US abandoned Loran in 2010 in favor of relying entirely on GPS – though there is a growing movement to establish an improved eLoran system. Until that happens the US will be at a competitive disadvantage relative to these nations which may not always have our best interests at heart. The Spratly Islands are of economic and strategic importance. All of the countries in the region — including China, Vietnam and the Philippines — have made competing territorial claims to the region. In recent years, China has become increasingly aggressive in its claim, rapidly building artificial islands while also conducting military operations in the area. Beyond this conventional military build up, however, are complex and brazen cyber attacks by China that are leaving America and its allies increasingly concerned. A massive distributed denial of service (DDoS) attack knocked offline at least 68 Philippine government websites in July, apparently in response to an international court ruling that denied China’s territorial claims in the region. Just days later, Vietnam’s national airline and major airports were targeted in a series of attacks by the Chinese hacking group 1937CN. While these “nuisance” attacks — and continued cyber espionage by China — are serious, targeted Chinese cyber attacks designed to impact America’s physical military systems in the South China Sea are the most substantial evidence that we may be on the brink of a more tangible cyber threat to American military power. The challenge is that the capabilities and sophistication of state-sponsored and non-state hackers are increasing exponentially. China appears to be moving forward with plans to use electronic attacks designed to either disrupt or take control of American drones. With reports that the Chinese attempted to interfere with U.S. military drones at least once in recent years, the country has shown a willingness to use GPS jamming to prevent U.S. aircraft from conducting surveillance missions in the Spratly Islands. That 2015 instance appears to fit China’s public posturing on the ways it says it could use electronic GPS jamming to disrupt U.S. drone networks. One 2013 report in the Chinese journal Aerospace Electronic Warfare notes in technical detail how its military can “use network warfare to attack and even control America’s network” by disrupting the connection between satellites and aircraft. This sort of GPS jamming could be the largest electronic threat to the U.S. drone program. In fact, it has been widely speculated that Iran used a similar GPS “spoofing” technique to take control of a U.S. surveillance drone in 2011.